Straightforward rock ‘n roll from New Jersey. With roots in the ’70s and ’80s, Sam Sherwin‘s Iodine Cocktails is a bit of a rock ‘n roll, um, cocktail. 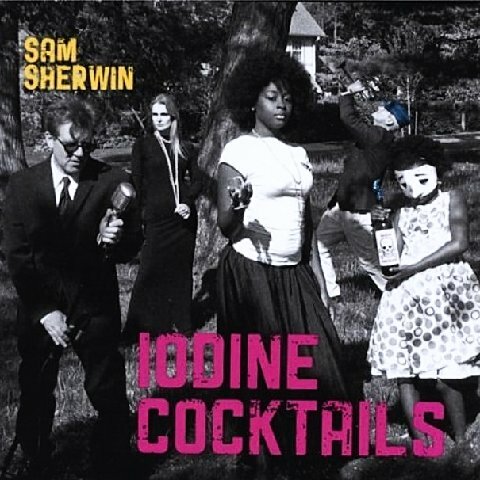 Sam Sherwin’s Iodine Cocktails showcases musical styles that recall rock ‘n rollers as disparate as Randy Newman and Bruce Springsteen. Sam kicks things off with the cheerful, Randy Newman-esque “Anymore.” Picture a sunny day, two or three female backup singers adding emphasis, and a smile on everyone’s face, and you’ve captured the essence of this number. Moderately energetic with a laid-back, catchy, recurring guitar hook, “Anymore” has all the attention-grabbing elements perfect for an opening track, and it’s likely to become and remain a favorite. More prominent throughout the album, though, are the female backing vocals that add a fullness to the music. On “Without You,” for example, they’re paired with keyboards and well-placed organ for emphasis. Sam’s voice on “Without You” is smooth, melancholy, and gritty wherever the song calls for it, showing a range of vocal versatility within a five-minute song capsule. That’s not to say that there isn’t the occasional outlier – the fun “At the Old Canal” is a bit of a barn-raising-ready, slow-tempo, almost-twangy Americana number. But even this has a bit of Sam’s rock ‘n roll show band flair to it, more of a fun, quirky number than a shift in his base style. 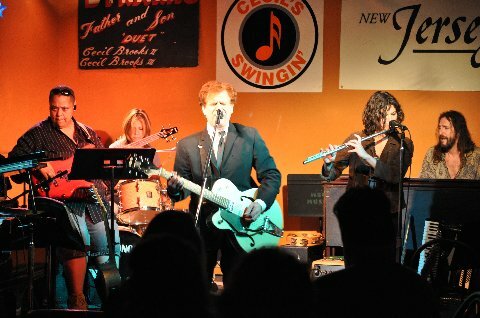 And, going the other way on the rock ‘n roll spectrum, “Lick Your Lips” starts with a George Thorogood-esque gritty intro before moving to a more energetic, accessible, gritty blues rock style for the rest of the song. Still rock ‘n roll. And, if you noticed, still “gritty.” A little of that is Sam’s vocals, but more, I think, is the recurring, wailing, blues-rock guitar hook. 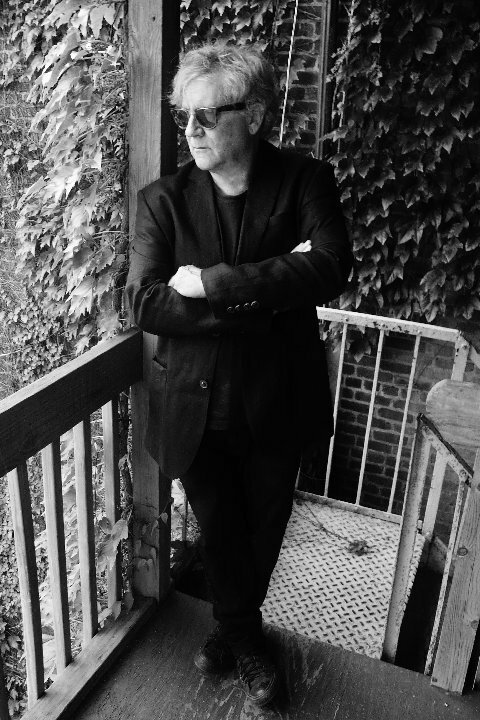 Indeed, Sam Sherwin touches upon a variety of classic, mid-tempo, radio-friendly rock ‘n roll styles, infusing his music with elements reminiscent of a broad cross-section of top artists from that mainstream rock ‘n roll genre. A bulk of the songs, including those I failed to mention, fall within this range, providing a varied yet cohesive 10-song collection that’s a solid addition to any mainstream, multi-decade rock ‘n roll collection. 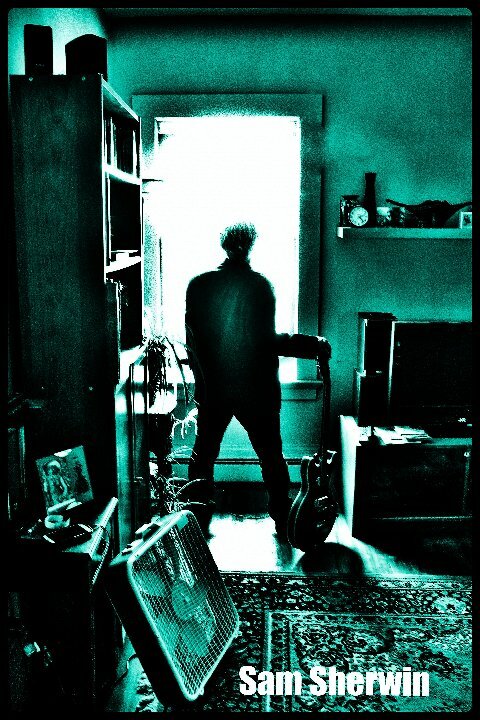 This entry was posted in Album Reviews and tagged Album Review, Geoff Wilbur, Sam Sherwin. Bookmark the permalink.